To be clear I still use Godaddy Bookkeeping as my accounting software to track my income and expenses, mostly for tax purposes. This spreadsheet will help you keep your inventory in check and be able to see your profit on each item. 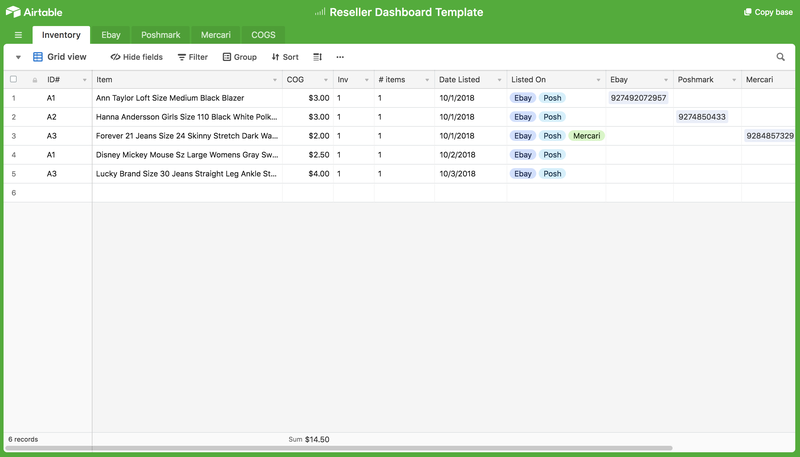 want the free reseller spreadsheet? Once you've filled out the form above make sure to check your email and confirm your email address. Once you do that you'll get the info on the spreadsheet and exactly how to use it. If you decide to try it out please come back and leave a comment below! I'd love to hear your thoughts about it. Almost there! Enter your info below. Your information will be stored to send you this spreadsheet and subscribe you to Hustle & Slow emails that may include articles and/or advertising and promotions. We will never sell your information to third parties. You can unsubscribe at any time.